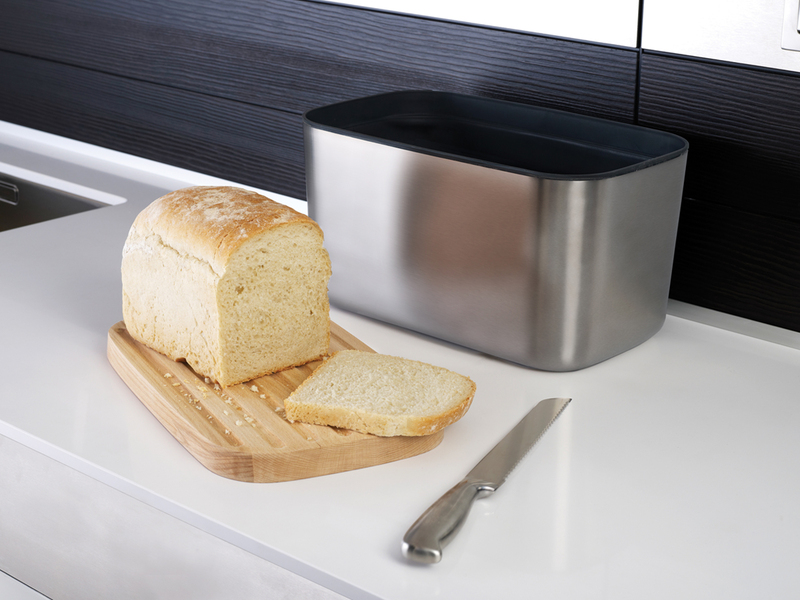 This latest version of our bread bin design for Joseph Joseph, forms part of their new “100 Collection”. It has a tough, durable construction, a non-slip base and a high-quality beech lid. As well as providing ample room for storing bread, its beech lid, when reversed, doubles as a cutting board, thereby saving space and the expense of a buying a separate bread board. Practical crumb-catching grooves cut into its surface also help keep the worktop cleaner during use.